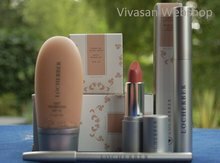 Locherber and Vivasan natural Cosmetics are made in Switzerland and Italy - Vivasan Webshop English - World wide delivery Vivasan Official Webshop® is specialized in shipments to the UK, Ireland and Scandinavian countries. Best prices! Locherber’s and Vivasan's centenarian tradition is addressed to a more natural world, where all creatures, animals included, can live in full harmony according to the more ethical laws. Locherber and Vivasan products are mede with enthusiasm, always in full respect of the most important life’s values. Vivasan and Locherber established the highest standards for gathering and processing selected herbs and plants, that deliver beauty and vitality to the skin. A guarantee for a new skin today... and tomorrow, with extraordinary effective targeted treatments, at the frontier of natural and future science. A different approach to life’s respect is our privilege! Experience, scientific precision and the love with which Vivasan and Locherber choose their products and with which they gained the trust of many customers in the world of cosmetics.